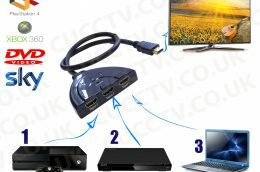 With a 28AWG HDMI cable (pigtail) this 3 port Smart HDMI switch /Hub converter not only reduces cost but also save time for consumers. 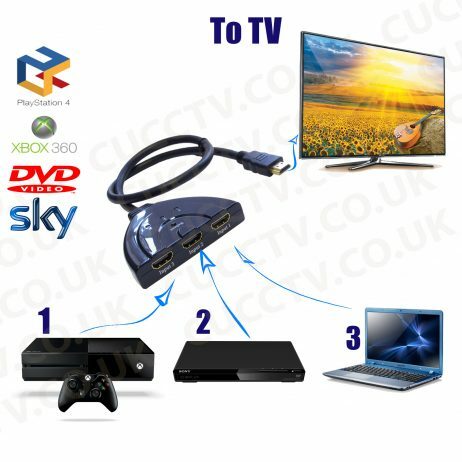 It allows you to connect it to the HD TV or projector without a HDMI male to male cable, receive signals from up to 3 HD sources to ONE display, such as PS3 / Xbox 360 (slim) / Freesat HD / Virgin / Bluray player / DVD / HD Camcorder / HTPC / Laptop etc. You can switch easily between three HDMI sources such as DVD players, game consoles, and more. When one device is turned off, the pigtail switcher will automatically select the next device, or you can manually select with the button. No Extra power adapter required, Plug and Play, What a convenient and cost-effective solution. • Support High Speed HDMI specification (Version 1.3b). 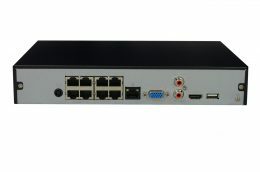 • Support 250MHz/2.5Gbps per channel (7.5Gbps all channel) bandwidth. 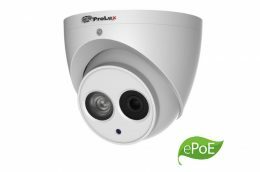 • Support 1080p Full HD and 12-bit deep color, retaining the crispy clear images. • Support uncompressed audio such as LPCM. • Support compressed audio such as DTS Digital, Dolby Digital including DTS-HD and Dolby True HD. • Manual or automatic switching between three sources to one display. • Output sends high definition audio/video signals to a high definition display. • Connect Directly to HDTV/monitor/Projector without extra HDMI male to male cable. 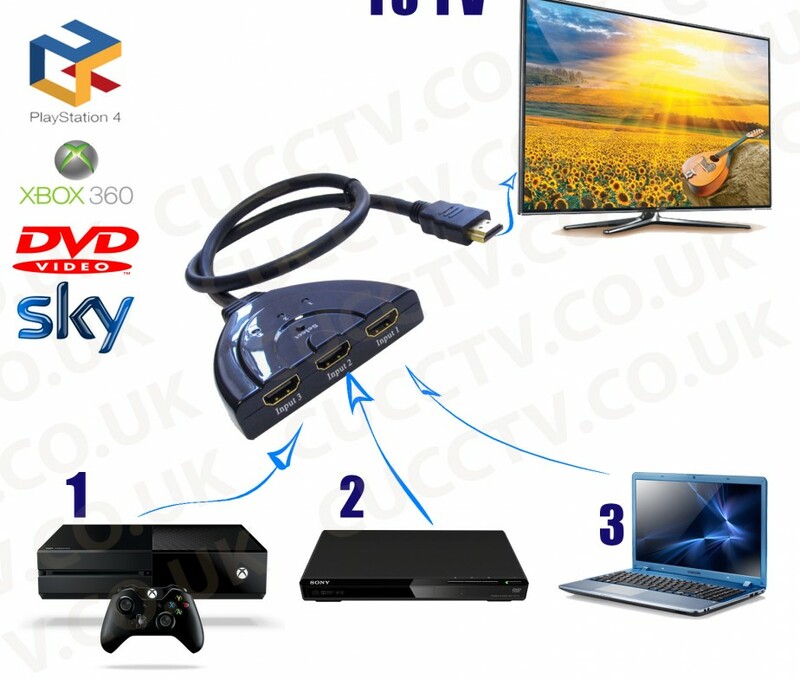 • Able to connect up to 3 HDMI devices to just 1 HDMI port on your HDTV/monitor. • Automatically switch to the device that is powered on first. • No downsizing nor conversion, no compromise in quality. • Mini size so it doesn’t occupy much space or look messy. • Maintains high resolutions up to 1920 x 1200.